The Sussex Biltong Co, Ashgrove Farm, Piltdown, TN22 3XN, East Sussex – Monday to Saturday. The Sussex Biltong Co, The Orchards Shopping Centre, Haywards Heath, RH16 3QH – Tuesday to Saturday. Biltong is a cured meat developed by the Afrikaner trekkers of South Africa as a way of preserving meat for leaner times but which also turned out to be delicious. It is extremely high in protein, up to 67%, and because the curing process is low temperature the protein is not denatured. Tasty as a snack, biltong can also be grated into sandwiches, added to muffins and pot bread, diced into stews or even as a teething aid for children. Our biltong is hand made by Craig, our biltong master. He learned to make biltong in the Zambezi Valley of Zimbabwe and has been making biltong using his secret blend of herbs and spices for 30 years. Healthy, delicious and value for money with each 100g of biltong being made from almost 200g of meat, our fine biltong is the snack of choice for those in the know. Our biltong is available to buy from the butchery at Guido’s Butchers & Deli, Ashgrove farm, Piltdown, TN22 3XN or send us an email with your order. Biltong is naturally high in protein, it takes over 200g of meat to produce 100g of biltong, so it is a fantastic component of a low carb or paleo-diet as well as being just about the tastiest thing around. As a natural product the nutritional content of biltong varies but below are some average values for standard medium dry biltong. 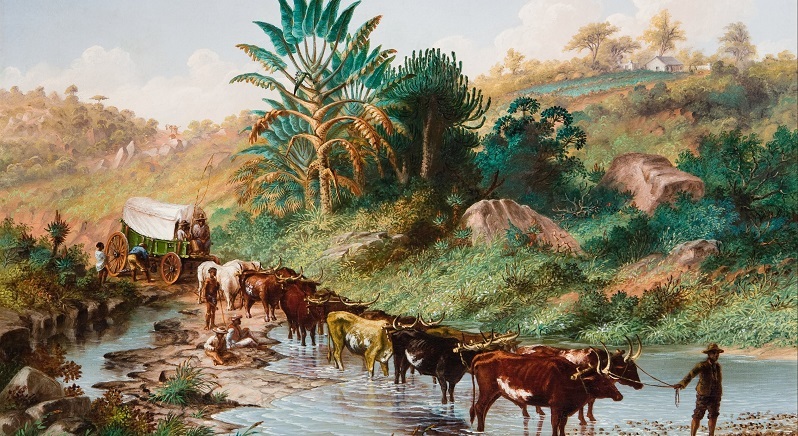 Biltong was developed in South Africa by the Afrikaner voortrekkers as a way to store meat in the dry conditions of the highveld and carry it easily on their trek wagons. 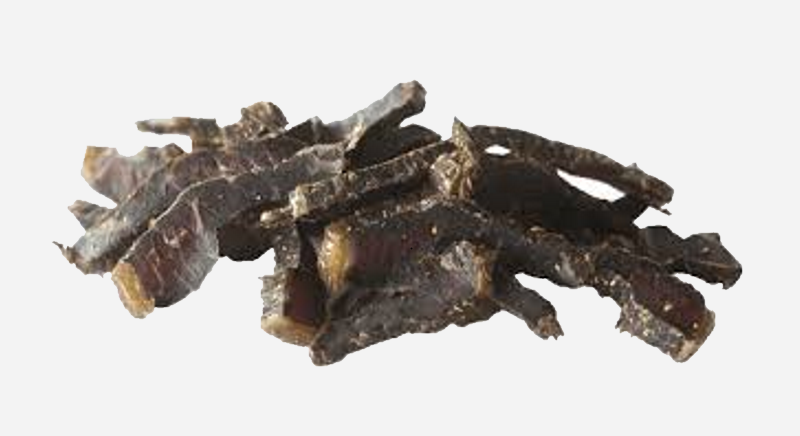 The word biltong is derived from the Dutch bil (rump) and tong (tongue) and refers to the cut of meat used and the shape of the cut meat to be dried. Originally made from game meat such as eland, springbok and hartebeest most biltong today is made from beef and that primarily silverside. Our biltong is made from prime British and Irish beef, marinated in our secret spice and herb mix and cured for approximately 5 days, much as the voortrekkers did in days of yore. Our biltong is made from the best British and Irish beef silverside, a prime cut from the rump of the cow and has exactly the right texture, flavour and fat content for perfect biltong. We carefully hand cut it into steaks which are marinated in our secret spice mix and then carefully cured. 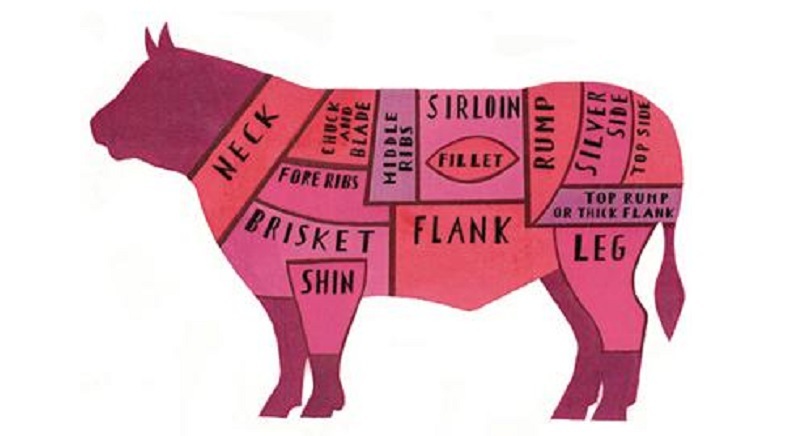 The curing process removes moisture which concentrates the flavour and the nutrient content of the beef. The low temperature cure means that none of the nutrients are damaged by heat so it is ideal for anyone on a paleo-diet or sportsmen trying to build lean muscle mass. The spices which include vinegar, coriander and salt not only flavour the meat but act as a natural preservative. Coriander has a proven inhibitory action on bacteria .